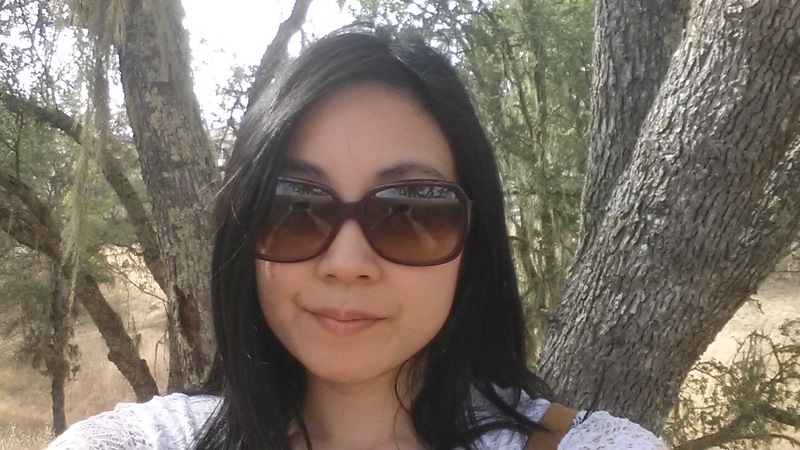 Carmen Lau writes fairy tale- and folktale-inspired fiction. Her stories have appeared in a number of literary journals, in print and online. Her collection of short stories, The Girl Wakes, won Alternating Current’s 2015 Electric Book Award and is available now. Carmen graduated from UC Davis with an MA in Creative Writing in 2009 and has resided around the world since then. She has been a full-time volunteer for Berkeley’s Tibetan Aid Project and taught English as a foreign language to both children and adults in Shanghai and Hong Kong. Now back in the States, she is embarking on a whole new adventure. She has this to say about the world: There are kind people everywhere. Hi, Kim!! So cool to hear from you. That’s awesome that you’re an artist now. Had you always painted? Thank you for contacting me. Hope you have a great 2016 too! Hello Carmen and Mrs. Faucher. I had lost track of you since I visited you at Davis . I am so happy to see that your writing is starting to get recognized. I will always be your biggest fan. I knew there was something special rolling around in that brain of yours. Hope you are happy and creating stories that you and your readers enjoy. Carmen, so happy to see you are experiencing success with your writing. You have no idea how happy that makes me. The little freshman with more talent than any student I had before or since is now a writer, just like the one’s you used to study. I had lost track of you since I last visited at Davis. Hi, Mr. Hackett!! I’m so glad to hear from you. Yeah, life’s been an adventure for the last few years. The writing thing is taking off slowly, but this year has been the most fun. I’m actually going to California Institute of the Arts tomorrow to do a reading because Brian Evenson, one of the writers who blurbed the book, is teaching it in a creative writing class! Isn’t that a trip? Your encouragement always kept me going. How is everything going at GHHS?